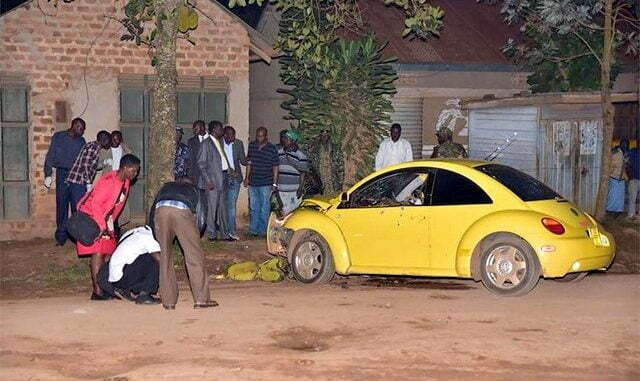 Unidentified assailants assassinated Ibrahim Abiriga, the Arua municipality member of parliament and his bodyguard, Saidi Buga on Friday evening near Energo Fuel station near his home of the Kampala-Gulu Highway. His neighbors and residents of Kirinnyabigo in Kawanda in Wakiso District looked in awe as the two gunmen riding on a motorcycle spread the legislator’s yellow beetle vehicle registration number UBB 706D with bullets before they made off from the scene. Shortly after the escape of the assailants, residents flooded the crime scene. They positively identified Abiriga since he would usually stop to greet, wave or chat with them on his way to his home. The MP was known for sharing pleasantries with children in the neighborhood who always sang songs in his praise. Rachel Rugunda, a resident of the area, says it took about five minutes after the shooting for a crowd to form at the scene of the shooting. “It first began with people taking pictures and then some started moving towards the car. 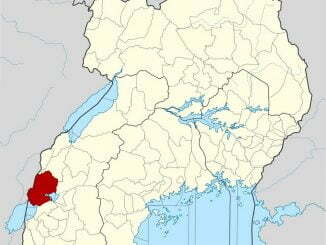 Some touching the vehicle, others picking up bullet cartridges on the ground,” Rukundo told this publication. Records at Kawempe police station show that an unidentified person called the station at 6:33pm to report the shooting. 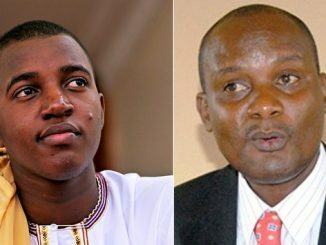 An officer at the rank of Assistant Superintendent of Police (ASP) only identified as Kayihura went to the crime scene with about three other junior officers more than 10minutes later. According to a video recording made by one of the residents that has been circulating on social media seen by this publication, upon arriving at the crime scene, officer joined the crowd to see what had happened. 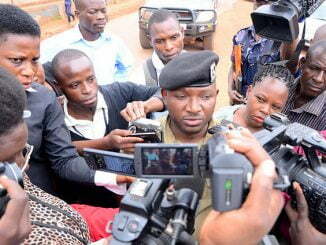 The Kawempe Police Divisional Commander, Ronald Wotwali arrived at the scene at around 7:30pm with more police officers and began pushing residents away from the crime scene. More than 100 people including children had gathered at the scene. They resisted attempts by police to push them from the crime scene. It was not until 7:48pm when the first Scene of Crime Officers (SOCOs) arrived and were followed shortly by the Kampala Metropolitan Police Commander, Moses Kafeero Kabugo. Once the SOCOs arrived, they directed all the people including the police officers to leave the scene immediately to allow them to work. Luke Owoyesigyire, the Kampala Metropolitan Police Spokesperson, says they had to forcefully evict residents from the crime scene. “People need to be educated on the ways of handling a crime scene. Imagine we had to use sticks to get them away from the crime scene and even after that they kept complaining,” Owoyesigyire said. Once a crime is committed, everyone apart from police officers with special training on crime scene management, are advised to keep away for fear of tampering with evidence. Once people trample on the crime scene and its surroundings, it erases evidence which may include foot marks; tyre marks, suspect’s DNA, finger prints and measurements. Sometimes, people tamper with the crime scene innocently, but it’s also possible for the suspects to return in the confusion or send their people to tamper with the evidence at the scene. He however, says there is evidence such as cartridges and bullets which can’t be tampered with since it can be subjected to a ballistic analysis.